Al Wehda’s Egyptian manager Ahmed Hossam Mido has been named as the best head coach in the 23rd round of the Saudi Pro League. Mido has been Al Wehda manager since last December and has taken charge of the team in 12 games, winning six, drawing three, while losing further three. 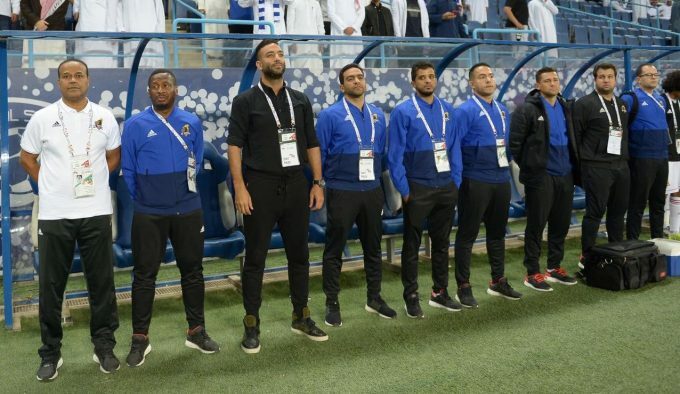 The 36-year-old has earned plaudits for his impressive work in Saudi Arabia, espcially after beating giants Al Ahli twice, before snatching a historic draw against league leaders Al Hilal away from home on Friday. Carlos Eduardo opened the scoring for Al Hilal two minutes into the first half, but a 75th-minute strike from Jaber Asiri made sure that both teams share the spoils. This marked Al Wehda’s second-ever league draw against Al Hilal, with the first one coming in their first Saudi Pro Leauge encounter back in November 2008. Since then, they faced each other in the league 12 times, with Al Hilal coming out victorious every time, but after 10 years, four months, and four days, the run has stopped. Following Al Wehda’s excellent result and performance on Friday, Mido has been named as the best coach of the round, his second individual award of the season, after receiving one in the 15th round. Meanwhile, Morocco international Abderrazak Hamdallah clinched the best player in the 23rd round, after helping Al Nassr beat Al Ettifaq 3-2, scoring a brace, including a last-minute winner.